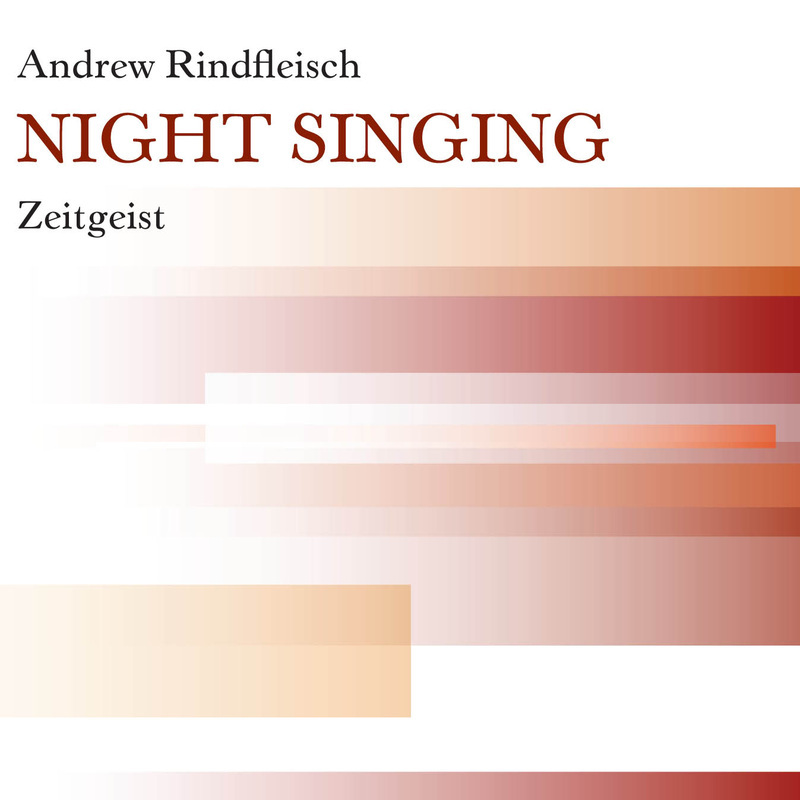 Zeitgeist’s long artistic relationship with composer Andrew Rindfleisch has resulted in an entire CD of colorful and captivating musical works. The four-movement title track Night Singing is a profoundly dark and expressive evocation of nocturnal states of being, and an autobiographical sentiment of the composer’s approaches to composition. Nine Little Improvisations, on the other hand, evokes the spontaneous and wildly eclectic improvisations of clarinetist Pat O’Keefe with Rindfleisch at the piano. The solo work For Clarinet Alone reveals a remarkable recording of aggressive refinement, illuminating a work of extreme quietness and solitude through the use of minimal microtonal movement. With Fanatical Dances, a dense work for seven players, and the group performance of Improvisation Situation, featuring theatrical vocals by Rindfleisch, both free and composed music clash in celebratory fashion to round out this disc of virtuoso performances. Performed by Andrew Rindfleisch, conductor/piano/bongos/voice; Heather Barringer, percussion; Patti Cudd; percussion; Pat O’Keefe, woodwinds; Shannon Wettstein, piano; Christian Zamora, violin, Jane Garvin, flute; Jim Jacobson, cello.